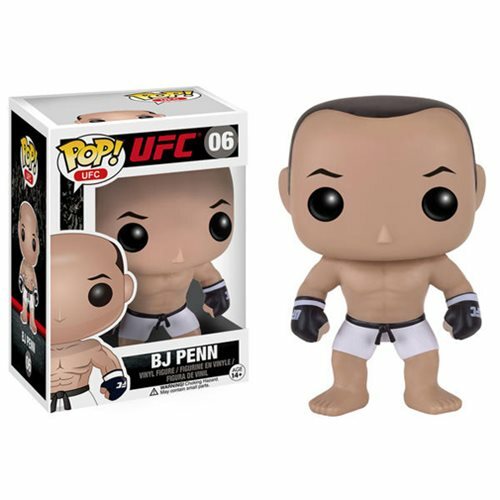 Shopping for Sports: MMA Pop! Vinyl Figures? Mixed Martial Artist, B.J. "The Prodigy" Penn gets the Pop! Vinyl treatment! The UFC B.J. Penn Pop! Vinyl Figure features the featherweight fighter in fighting gear and gloves. This Ultimate Fighter stands about 3 3/4-inches tall and comes packaged in a window display box. Ages 14 and up.